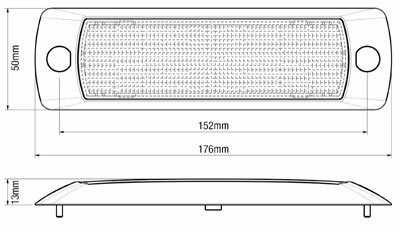 ROADVISION’s latest release is the IL250 Series LED interior lamps, a rectangular version of the popular IL140 Series. More sophisticated than the rest, the IL250 series has a cleverly designed touch sensor switch incorporated into the lens. With no visible signs of a switch, it provides a sleek attractive appearance whilst still offering direct operation at the light. Not only is it a touch sensor switch, it’s also a 3 function dimmer, full output, 60% output or 30% output allows total control of your lighting needs. Also featuring 12V input, super low current draw, high impact ABS housing and polycarbonate lens, the IL250 Series has everything you need. With an easy fit surface mount design and with no replacement parts or globes, these lamps are built to last a lifetime*. 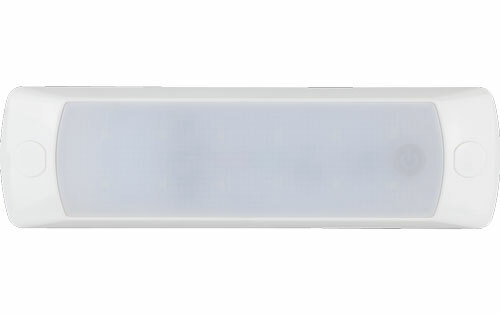 See the light with ROADVISION’s IL250 Series interior lamps!